Lately, I have interesting stuffs going on in my uni life. Performing Arts is kinda challenging for me, because I'm a shy shy girl that do not know how to express myself, especially through emotion. My sadness, anger and frustrations = one sad blank face expression. LOL! So through this Performing Arts subject, I have to really open up myself, forgetting who I am and go for it. At first, I did have a hard time adapting to this situation, because almost everything I'm not doing it willingly. Until now, I'm slowly enjoying the process of performing in front of crowd. A big failure for me, as I forgot the lyrics due to my extreme nervousness! Enjoyed the dance because the dance moves were not complicated yet filled with emotions. Best performance so far, not because of our results, but the whole process of practicing! We have less than 24 hours time to plan and practice our performance, but we managed to complete it with minor mistakes. 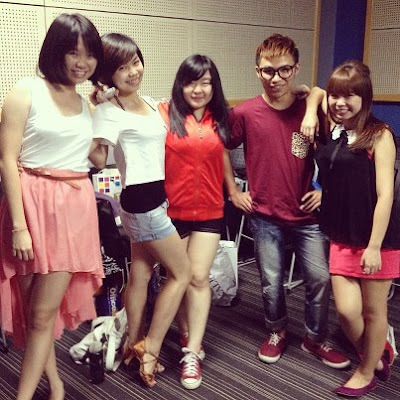 Hola to my group mates for the performance 'The Story of Us'! Next performance on upcoming Thursday - Narration + Contemporary Dance using Lakini's Juice Live with theme : Anger and Frustrations. Sounds challenging isn't it? 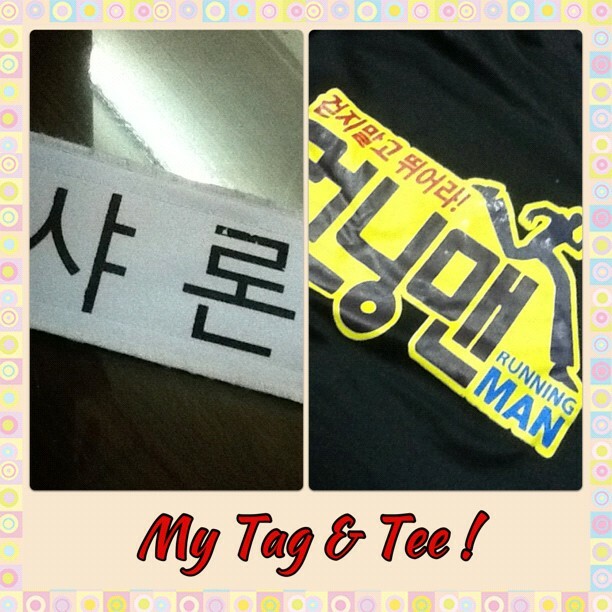 Owh, I just received my Running Man tee two days ago! P.S Don't tear my tag when you see me wearing this tee around! Wow, that's already quite an achievement considering you've done quite a few! Here's wishing u the best in your next! Performing Arts is such an interesting subject! WHY WANNA BE KJK WHEN THERE IS A ACE JI HYO LOL!